SCI specializes in the design and implementation of public health and social programs that improve health outcomes around the globe. Since 2000, SCI has worked on projects in more than 30 countries in Africa, Asia, the Middle East, Latin America and the Caribbean. Our staff works collaboratively domestically and with in-country counterparts to improve policies and programs that address population issues, reproductive health, HIV, infectious diseases, and maternal and child health. With our Expert Bank of consultants and partnership model, our deep understanding of methodologies that create sustainability to improve health outcomes. 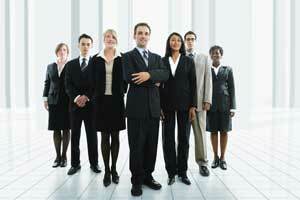 Our value added approach is staffing WITH SOLUTIONS. We specialize in project management with solutions in public policy, economics and health finance, medicine, law and human rights, public health, demography, epidemiology, gender, social marketing and communications, and monitoring and evaluation. Our quality assurance methodology allows our clients to maintain control, while assuring that SCI help countries and communities build local capacity by leveraging existing resources and public-private partnerships. Committed to the sustainability of the programs in which we participate, we support capacity-building of our partners to tackle complex, interrelated health and social issues.